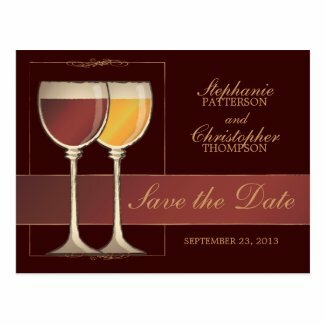 Cell Phone Fanatic Couple Cake Topper: This is a beautifully detailed porcelain wedding cake topper. One extra amazing feature of this figure is you can pick from eight different hair colors for both the bride and groom. There is even a silver grey option. 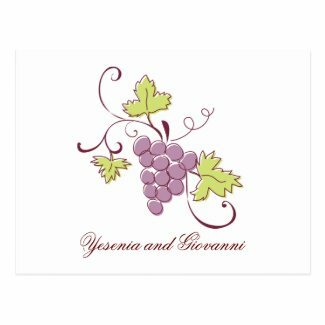 This collection of beautiful Vineyard themed Save the Date Announcements are perfect for both summer and autumn weddings. Featured below are a few different and very affordable designs by various artists. 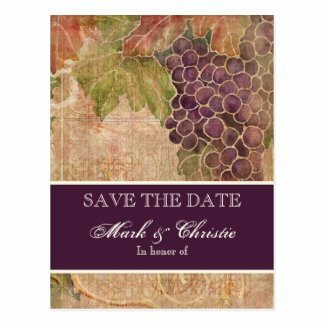 Select any Vineyard Save the Date announcement below to view additional information and personalize with your wedding details.